Where's my big square flag? 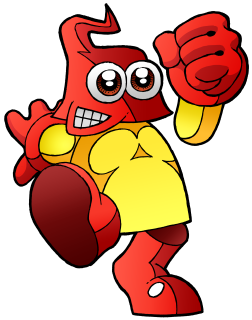 It is available in print, digital comic, and eBook formats. 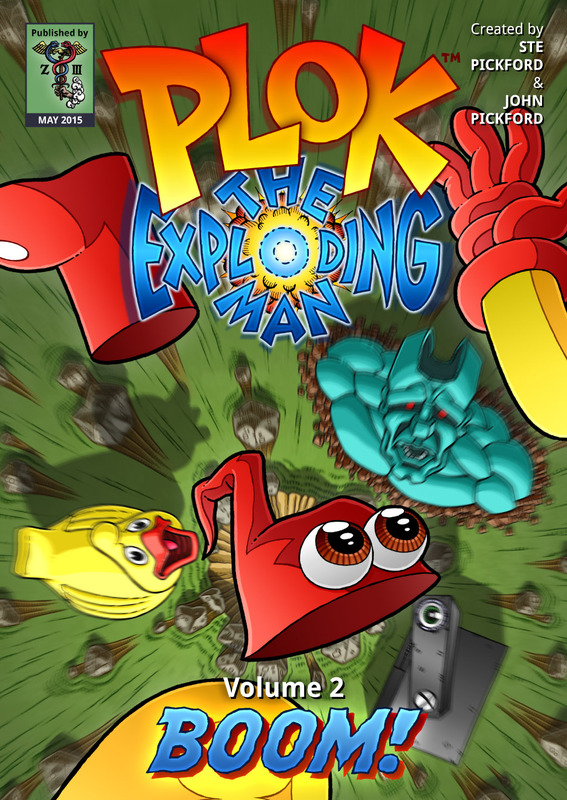 This 58 page volume collects together episodes 27 to 49 of the Plok comic strip, along with seven beautifully illustrated character biographies and a brand new cover drawn exclusively for this book. Also included is a 'story so far' recap and a twelve page 'sketchbook', containing note, layout sketches and pencils from each of the 23 strips, giving a detailed insight into the background and creative process involved in the creation of the comic strip. 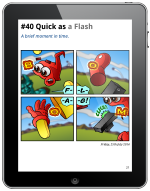 Each comic strip is displayed at much higher resolution than the website version (1.8m pixels per strip, more than double the 0.75m pixels on the web), and looks beautiful in print or on a tablet screen or desktop app. 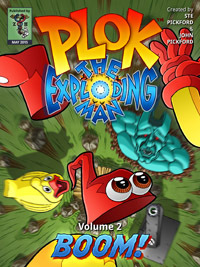 Expand your collection of Plok comics with Volume 2 today! It is available direct from CreateSpace (US only), Amazon's print-on-demand service, as well as most Amazon stores around the world. The digital verion is available on your favourite digital comics platform, and makes use of Comixology's guided reading technology. 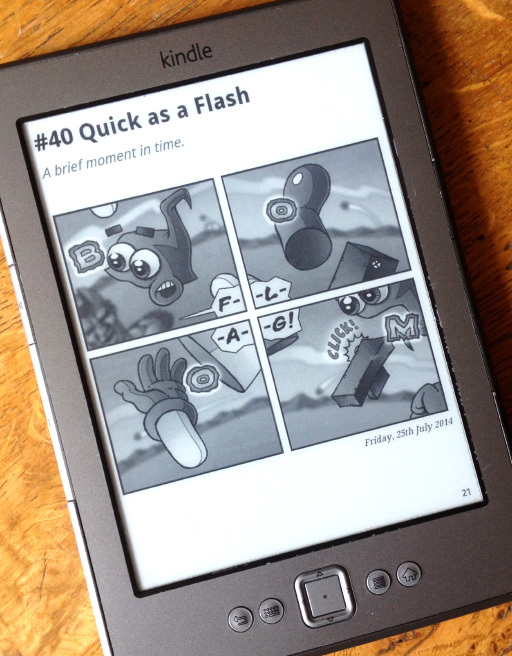 This eBook version looks best on colour devices, but is perfectly readable even on monochrome Kindles. 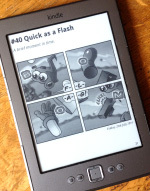 The Kindle edition is for sale now in most Amazon online stores. 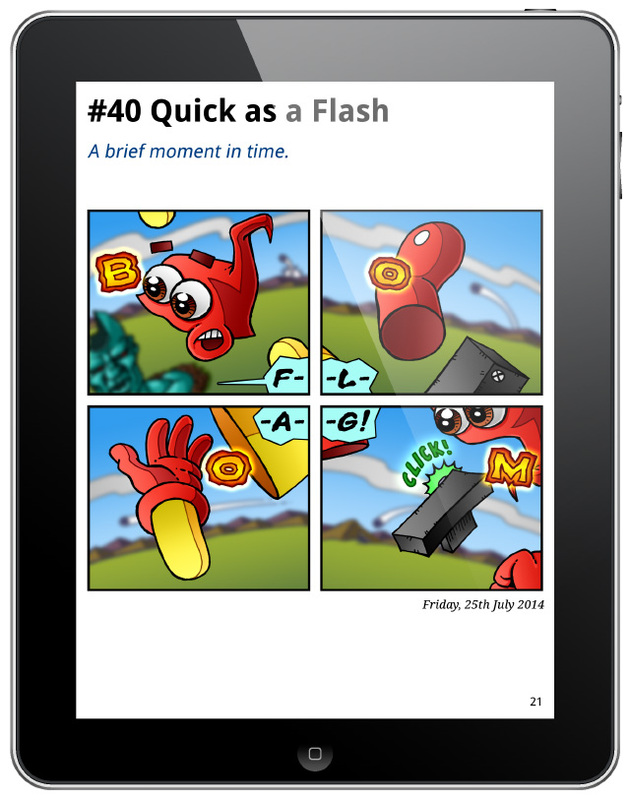 The iBooks version is optimised for iPad screens, and is on sale now on the iBooks store in most territories.